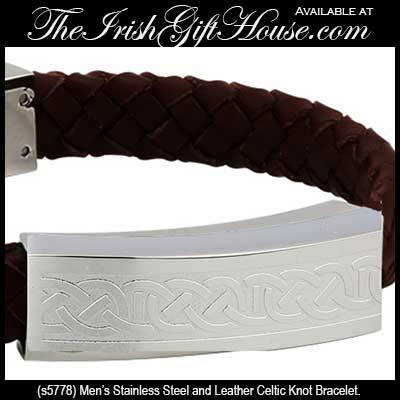 The Celtic bracelet for men features an laser engraved knot-work design and measures 3/8” wide x 8 1/4" long including the magnetic sliding catch. 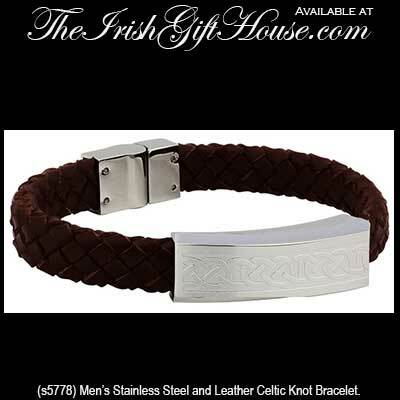 The men's bracelet is made of stainless steel and brown leather and it is gift boxed with a Celtic knot history card, complements of The Irish Gift House. The Irish bracelet is part of the Celtic Man Collection from Solvar Jewelry and it is made in Dublin, Ireland.